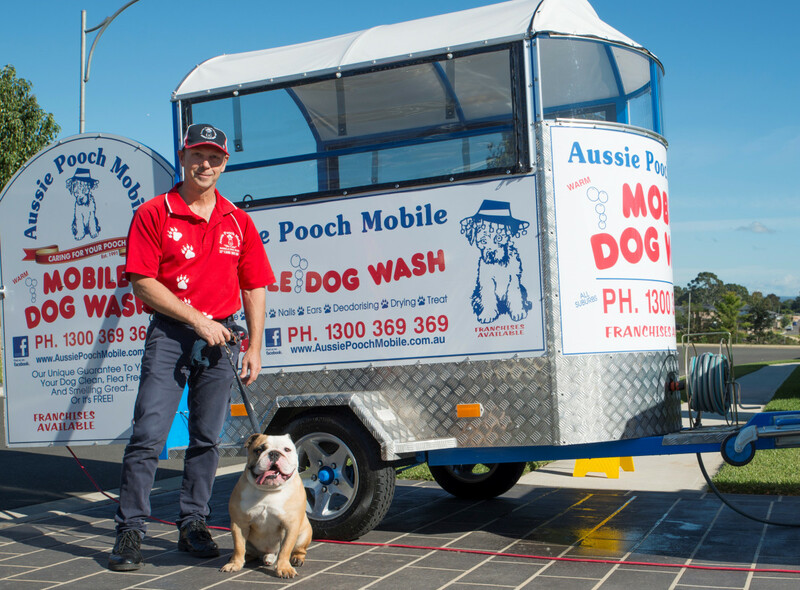 Our mobile dog wash and grooming franchises include all of the following and more to ensure your success in the multi-billion dollar Australian Pet Industry. With over 25 years experience as the market leader in the Pet Care Industry, Aussie Pooch Mobile has built a brand second to none. The power of our well-known brand attracts thousands of pooch loving customers each month. Aussie Pooch Mobiles provides you with an exclusive large territory. Some of the advantages of having an exclusive territory are… short travel time between each customer that saves you time and money, all the self-promotion and marketing done in your territory benefits you, and your customers will appreciate knowing the person who cares for their pooch. Traineeship: The initial two weeks comprehensive training will see you trained in the hands on operation of the business, dog handling skills, local area marketing, time management, customer service , product knowledge, money management, goal setting and retail sales. We understand that this will all be new for you. That is why our training is not just a two-week period but it is ongoing. On top of being trained in all aspects of your mobile dog wash franchise, you will be provided with a support person every step of the way. Animal First Aid Certified: Each of our operators complete an Animal First Aid certified course. Local Support: Your support manager will be available to provide friendly and helpful support. Local focus meetings are held regularly. This is a great opportunity for you to network with other franchisees and learn together and from each other. The support office is always here to help you in any way possible. Your input is invaluable in the continued growth of Aussie Pooch Mobile. You are encouraged to pass on any of your ideas that will benefit the rest of the team. WOOF eDiary:Aussie Pooch Mobile's tailor made, exclusive WOOF eDiary booking program provides many benefits to help you in your business. Intranet & Website: Your intranet (Aussie Pooch Mobile secure website) allows you easy access to information to help you in your business and to promote communication throughout Aussie Pooch. Operator feedback and tips are posted on the intranet. The website provides your customers with helpful information as well as the capability to book your services. Operator Forum: Support and advise from your peers available 24/7 through your own Aussie Pooch Mobile Operators Forum online. Bi Monthly Newsletters: Newsletters are designed to keep you up to date with what’s happening at Aussie Pooch Mobile. Franchisee input into the newsletter is encouraged. Seminars/Conferences: Training seminars are aimed to encourage team interaction and provide ongoing training and support. Each month an operator from each state is awarded “Franchisee of the month”. Our annual 2-day conference is the highlight of the year and is a fun packed educational event. Team members from all over the World come together to network and learn from each other. Guest Speakers at the seminars and conference, such as veterinarians , dog training specialists and business coaches provide you with invaluable knowledge. Our prestigious awards night recognises outstanding franchisees, and celebrating your success as a whole. Government Accredited Courses: Aussie Pooch Mobile has partnered with Animal Science Training Services (ASTS). Providing an opportunity for our operators to take part in online courses such as Cert III in Pet Grooming & Cert IV in Pet Styling and other courses to further develop their skills. Every one knows that repeat business is good business and word of mouth advertising is absolutely the best form of advertising. Aussie Pooch Mobile services are used on a fortnightly and monthly basis by a large percentage of your customers. Dealing with the same regular customers each fortnight/month allows you the opportunity to build a relationship. This will encourage referrals from customers and ensure word of mouth advertising that will help grow your mobile dog wash franchise. * Customers enjoy the convenience of your service and the dogs love it. 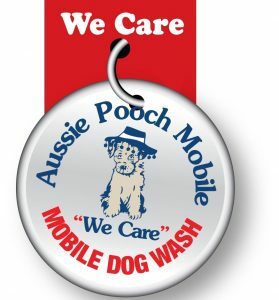 Do you have what it takes to be A Great Aussie Pooch Mobile Franchisee? If you believe you have what it takes to be a Great Aussie Pooch Mobile Franchisee and would like to take the next step towards a better lifestyle then please complete the online enquiry form. To view frequently asked questions regarding Franchising with Aussie Pooch Mobile, click here.